Vipers SC have had a busy off-season in terms of transfer activities and it looks set to continue until the window shuts later this month. With notable departures including last season’s coach (Miguel da Costa) and captain (Nicholas Wadada), the Venoms have recruited immensely in a bid to try and stay strong as they begin the 2018/19 season as league defending champions. News coming from the St. Mary’s stadium indicates that Vipers SC have sealed a deal to sign Kenyan striker Noah Wafula. The Striker is reported to have signed a three year deal that will see him at the reigning league champions until 2021. The club confirmed the development on its official website. 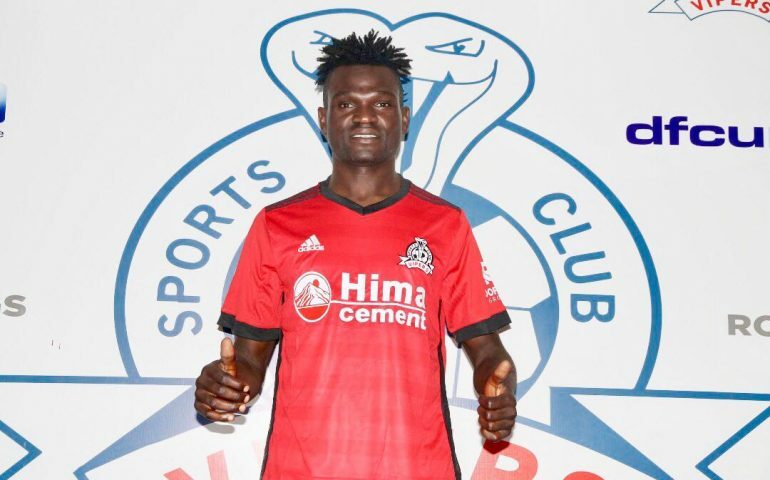 “Vipers sports club continues its transfer spending business with the latest capture of Kenyan striker Noah Wafula who joins from Kakamega Homeboys for undisclosed fee, read an excerpt from the page. Wafula who has 12 national team caps to his name, immediately joined the rest of the Vipers team in Mbale where the team is camped for the preseason since Monday morning. Wafula who joins Vipers SC from Kakamega Homeboys, has also had previous stints with AFC Leopards, Finlays Horticulture and Tusker FC. With Erisa Ssekisambu on his way out, Dan Sserunkuma also undergoing trials in a secret country and Clovis Mbayi realeased, it leaves only Steven Mukwala as the notable striker at the club and its clearly understandable as to why new manager Javier Martinez Espinosa has signed Wafula. Livingston Mulondo, Henry katongole, Rahmat Ssenfuka, Fred Okot, Ibrahim Kiyemba and Bashir Sekagya are some of other newplayers the club has signed in the off season.